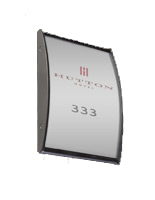 These Office Wall Signs Display Corporate Signage and Lobby Directory Information in the Building! 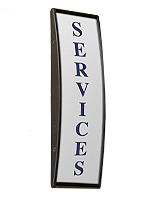 These Architectural Signage Holders Are Lobby Signs with Acrylic Plastic Front! These Office Wall Signs Are Ready to Ship! Constructed of anodized aluminum that is durable. Non-glare prevents sun damage to item housed. Lens easily lifted via suction cup (provided) for quick change of graphics. Two-sided tape on back of sign for mounting on the wall. 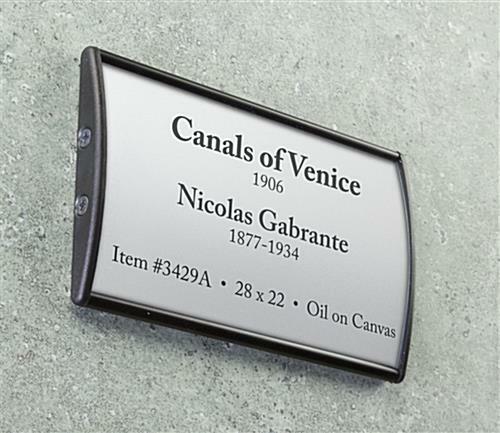 These office wall signs, sometimes called signage systems, do not come with graphics or artwork included. Advertisers and marketers are able to make their own custom messages using a standard printer. 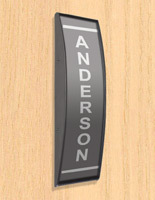 These office wall signs may be implemented to show the names of employees, emergency information and room numbers. 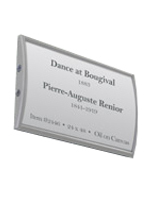 The sign holders may be affixed to the display surface, in either portrait or landscape set-up, by using the included double sided tape. These office wall signs include a suction cup to remove the acrylic lens and insert the necessary signage. The acrylic lens stops glare and other lighting from affecting the view of the message. 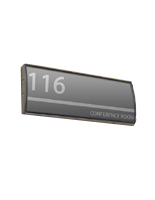 These office wall signs are designed to make signage changes convenient and quick. 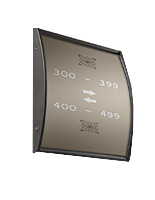 The door signage display works well as a single installation of part of a large collection. These office wall signs are the ideal fixtures to guide visitors from one area of the building to another. The name displays aid in reducing aimless foot traffic throughout the establishment. 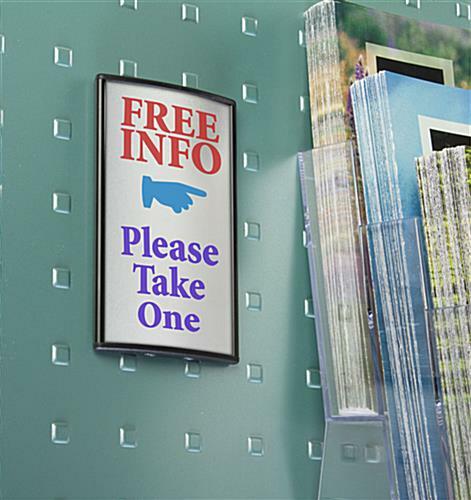 These office wall signs are made out of anodized aluminum for a very durable model. The name displays ensure the units will last a long time. 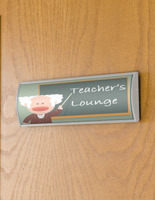 These office wall signs have a convex shape to garner interest from all sorts of clientele. The name displays are made to get noticed. These office wall signs have an attractive black finish to blend into settings and coordinate with pre-existing displays. 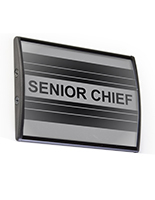 The name holders are sure to function well in almost any setting.